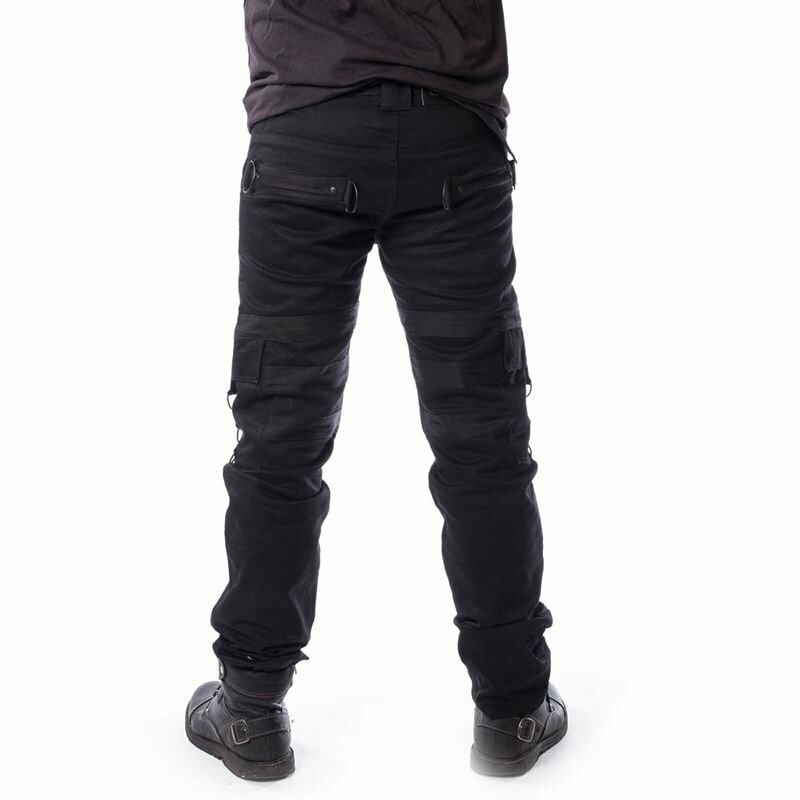 Alternative style stretch cotton black trousers. Waistband with button fastening and belt loops. Side Pockets. Pouch pockets to legs with velcro fastening. 2 pockets to the back.